Posted by V the K at 10:15 am - August 23, 2016. Posted by V the K at 8:50 am - August 23, 2016. A feminist interprets every interaction with a male as a “microaggression” and an excuse for her (and all women’s) drinking problem. I round up some girlfriends and we spend hundreds of dollars in a hipster bar, drinking rye Manhattans and eating tapas and talking about the latest crappy, non-gender-blind things that have happened to us in meetings and on business trips and at performance review time. They toast me for taking one for the team. And when we are good and numb we Uber home, thinking Look at all we’ve earned! That bar with the twinkly lights. That miniature food. This chauffeured black car. We are tough enough to put up with being ignored and interrupted and underestimated every day and laugh it off together. We’ve made it. This is the good life. Nothing needs to change. What was she angry about? Well, on this particular occasion, it’s because she had to serve on a panel with three male co-workers to provide orientation to incoming summer interns. And her male co-workers had the absolute gall to say that women were valuable assets to the company. “The thing about this place,” he says, “is it’s a meritocracy. 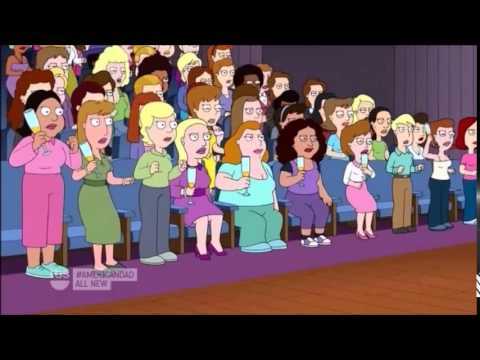 And merit is gender-blind.” He smiles at me and I stare back. Silent balefulness is all I have to offer, but his smile wavers so I know I’ve pierced some level of smug. And she apparently works in an office obsessively devoted to Mad Men Cosplay. At the office, every desk near mine has a bottle of wine or liquor on it in case people are too lazy to walk the 50 feet to one of the well-stocked communal bars we’ve built on our floor. We get it. She’s miserable, and she drank to cope with her misery (as all women do) and now that she has stopped drinking she sees that it was all the fault of the patriarchy and had nothing whatsoever to do with her own self-absorption. Because that’s what modern feminism teaches women: Put yourself at the center of the universe and blame men for any and all unhappiness. This Is OK Because Hillary’s a Democrat, Right? Posted by V the K at 8:02 am - August 23, 2016. If Donald Trump’s most senior advisor and trusted aide had been an assistant editor at a rapidly anti-gay publication (say, the Westboro Baptist Turn-Or-Burn Newsletter) for twelve years, a publication that his aide’s mother and brother were still actively involved in, the progressive gay left and the Democrat Media Complex would have a field day with that, am I right? I mean, that creep Manafort guy had to resign the Trump campaign because of his past dealings with Russia, right? But, as usual, the rules don’t apply if you’re a Democrat and your last name is Clinton. A journalism major at George Washington University, Huma Abedin, 40, was listed as “assistant editor” of the [Journal of Minority Muslim Affairs, which featured radically anti-feminist views and backed strict Islamic laws roundly criticized for oppressing women] from 1996 to 2008, when her name was removed from the staff box and she went to work for Clinton at the State Department. Typical fare in the publication includes a 1996 piece titled “Women’s Rights Are Islamic Rights,” which argues that single moms, working moms and gay couples with children should not be recognized as families. It bothers me less that Hillary and Huma are crooks than it does that some 40% of the electorate and 80-90% of the Democrat Party is perfectly fine with that. 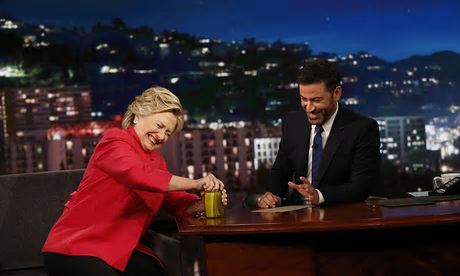 I mean, hey, Hillary opened a pickle jar on TV, so she’s obviously totally fit to be president, right? Also, by the way, someone tried to scale the wall at the Ecuadoran Embassy in London the other night; the place where Julian “Wikileaks” Assange is holed up. He got away before the police could catch him. Interesting, that. If you’re voting for Hillary Clinton, this is your circus, those are your monkeys.